Is my passion driving personal excellence? If you consistently do your best, the worst won’t happen. Bill’s daughter was getting married. It was to be the perfect day. The perfect setting, the perfect caterer, the perfect groom – and of course, the perfect daughter. There was just one hitch. Bill needed a tuxedo. Not just any tux would do. He needed an Armani. He looked everywhere, but could not find an Armani tux. Time was running out. In desperation, he called his local Nordstrom. 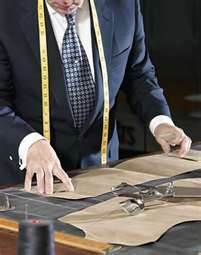 The professional at Nordstrom took his measurements and asked for a little time to work out the logistics of getting the tuxedo. Bill thanked her and left, cautiously hoping for a miracle. He got a call from the Nordstrom sales person the next afternoon. They had the tux, and were doing the alterations. The tux would be ready very next day! Unbelievable! The next day, Bill drove to Nordstrom and tried on the tux, which fit perfectly – courtesy of Nordstrom, who did the alterations for free! After searching the entire city for a week for an Armani tuxedo with no success, Bill could not have been more excited. Curious, he asked his Nordstrom personal shopper how they found the tux and got it ready for him so quickly. She just smiled, and replied, “Magic”. But Bill wasn’t going to be put off so easily. He kept asking, and finally got the whole story. As soon as he left the store that first day, she began working the phones. She found the tuxedo. Only one problem – it was in New York – the other side of the continent! She arranged with her contact in New York to put the tux on a truck which was headed to Chicago. She called the Nordstrom in Chicago and made arrangements for one of the team members there to meet the truck. From there, they sent the tuxedo overnight to Portland, where Bill lived. She then coordinated with the alterations team to do a rush job, and do it perfectly, which they did, in time for Bill to pick it up just as they had promised. And there you have it – magic, Nordstrom style. Oh, and one more thing. Nordstrom doesn’t sell Armani tuxedos. Where does that kind of service mindset come from? What made the Nordstrom professional go to such great lengths to find, ship, alter and present an item that their company doesn’t even sell? In ancient Greece, there was a teacher named Apollos. One of his students was a physician named Luke, who described Apollos as a man “fervent in spirit who spoke and taught accurately”. The word fervent comes from the Latin ferventem, and means “boiling hot, glowing.” That is an excellent description of passion. And notice that it goes on to say that he spoke and taught accurately. 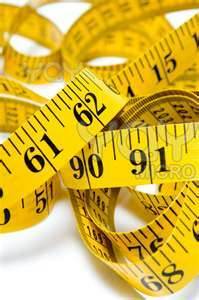 In the Greek, this word is rendered Akribos, and means to be diligent, accurate. perfect and exact. It means to be excellent. Passion leads to excellence. I taught a class recently on passion and personal excellence. They are linked. Passion gives birth to personal excellence. Passion arises from deep inside us and drives us to do things to the very best of our ability – and beyond. Passion sees no obstacles – it sees only the opportunity. The opportunity to be unique, to serve a customer or a client in ways that absolute blow away all expectations. Passion drives us with a deep fire. Do you have that kind of passion? Unfortunately, the answer is a resounding “NO!” from many of us. According to one study (see http://www.blessingwhite.com/eee__report.asp) done by BlessingWhite, only about 1 in 3 employees are engaged in their work. Think about that for a minute. What if your chances of getting a pilot that paid attention to flying the plane was 1 in 3? Would you get on the plane? Or how about if you knew the doctor who was going to do surgery on you only got it right every third patient? Would you choose a different doctor? Of course, none of us would get on that plane or go under that knife. But every day, we deal with people who are disengaged, providing a substandard service or product for their customers, their employers, and anyone else who comes into their orbit. No, but we do something even more damaging. We allow ourselves to be mediocre. Apathetic. Lethargic. Disinterested. Bored. Uncaring. We allow ourselves to just get by, expending the least amount of energy and engagement possible. Here is the irony! We weren’t created to be that way! When we do just enough to get by, it robs us of our energy. We were created to be people of passion. When we do a job well, we are energized and excited. In the early 19th century, retail stores were an iffy affair. Poor merchandise, dirty stores, and terrible customer service marked the landscape of the retail world. But one entrepreneur didn’t buy in to the standard set by many. He had passion. He wanted to do it better, and he knew he could set himself and his organization apart from the crowd. His name was Marshall Field. When he launched Marshall Field and Company in 1881, he immediately raised the bar for the rest of the retail world. He gave his customers a guarantee and the right to return merchandise. He offered credit. He even put a restaurant in his department store for customers! He was passionate about his work, and it led to excellence in what he gave to others. Do I have passion? Is it leading to personal excellence? Coming soon! 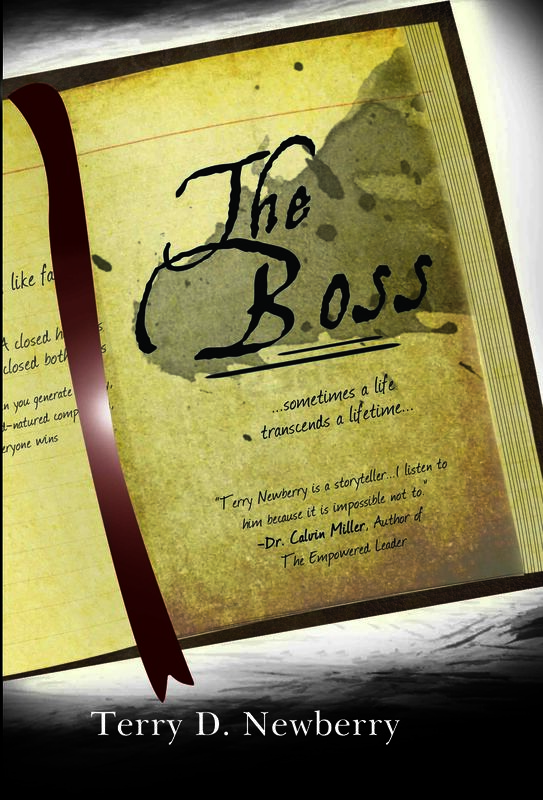 Psalm/One Press presents the new book by Terry D. Newberry, The Boss. For more information, go to terrynewberry.com, click on the page for The Boss. This entry was posted on Wednesday, May 23rd, 2012 at 12:35 pm	and posted in Uncategorized. You can follow any responses to this entry through the RSS 2.0 feed. « It’s A Bird! It’s A Plane! No, Wait – It’s Ed!